Please join Family Office Insights for this luncheon on Wednesday, May 23rd 2018 at 12PM. If you care to join us, please email admin@familyofficeinsights.com. Family Office Insights sits down with David Hazzard to discuss his early growth stage company prepared to launch its interactive network later this year and is prepared to scale rapidly. Unique technology, an untapped market, strong market partners and an established manufacturing pipeline give iSync Media the ability to quickly expand. It has been internally funded and has little debt. A majority of the development costs were incurred in a separate technology development company, which iSync Media has licensed its platform from. Management is seeking a Round 1 Convertible Note (w/ Guarantee) for $3.75M and a Round 2 Convertible Note for $3.25M. Tell us about your background and your company, iSync Media. From a business perspective, my background is very diversified. I originally started in finance, then came to own a large restaurant group, and at the same time, I was also launching several other business startups. The idea for iSync Media came from my experience in owning restaurants. I saw a digital picture frame about 13 years ago and thought it would be a great way to clean up the retail clutter and make a digitized table tent. The iSync device has gone through multiple evolutions and we changed this from a software-as-a-service (SAAS) model to a fully functioning media model with interactive capabilities. The first iteration was a portable 5” screen that was as clunky as a 90’s mobile phone. The most difficult stage was tackling the battery development followed by proving the concept in bars and restaurants. Through our developments, we’ve improved battery and screen qualities to mimic the visuals of an iPad. The battery is now strong enough to power 2 screens at a table for up to 18 hours. These achievements are important to us and the advancements in our hardware have been massive in the last 6 years. Our screens are not meant to be an ordering or payment platform, but are true media screens delivering content. They feature an interactive “closed circuit” TV-like loop that can run 10-12 minutes serving content of the restaurant, in-house specials that upsell products, and any other information they may want to feature, such as relevant entertainment like local news and movie theatre deals. We sync a content feed that generates revenue through third party ads. There are quasi competitors in the market that feature that feature extensions of POS system and video game playing. We are server and restaurant friendly. The iSync devices have the ability to push content to a customer’s mobile device via Near Field Communication, which allows them to interact with the screen content. You can tap your phone on a spot on the screen and have relevant content pop up on your phone. We will work with a Fandango-like group, so we feature movie trailers and ad spots. When you tap your phone on the ad, the ticket selling website will pop up on your smartphone which allows the purchase tickets for the movie trailer you just watched at your table. From a venue perspective, iSync helps decrease operational costs such as printing literature for the table from can range from $25,000 to $100,000 a year. In a recent trip to a restaurant, I noticed 8 different print collaterals on the table; this is a huge cost that iSync eliminates. We also offer the ability to upsell the desserts and daily specials, with an important focus for the higher margin items. If you put a picture of something on the table it sells more. Another benefit is a loyalty type program that helps restaurants stay connected with patrons by participating on restaurant surveys. Typically, if restaurants are lucky, they get a participation rate of 4%, while ours is 90%. We streamline the process to make it easier for the patron to connect with the restaurant without having to go to a website printed on the receipt for an online survey. We’re looking at casual dining, bars and chains like TGIF’s. Any independent bars and restaurants without white tablecloth service can benefit from iSync. We decided to start in the restaurant sector, as it was the obvious an untapped market. Our tabletop technology presents multiple impressions for the diner, with dwell times from 45 to 120 minutes. On the advertising side, advertisers want to get as granular as possible to touch as many people as they can. We target customers by geography and demographic characteristics, with the ability to get even more granular. We offer advertising on the local level with local and regional news. We can also go hyper-local with advertising, for example a dry cleaner business down the street that wants to advertise in a specific restaurant. Many small businesses do not have the budget or capability to advertise in their neighborhoods. We put together an advertising template with backend marketing tools and business set up for a more efficient advertising experience. We overcame a lot of technological challenges in our development process. We tackled the battery issue of making sure our battery capabilities lasted as long as a restaurant’s business hours, roughly 14-17 hours. We are also always evolving our hardware to make it more efficient. Another challenge is breaking the perception that people think advertising from third parties is intrusive. In fact, it’s subtle and we do not provide audio on our screens to avoid being intrusive. There are 2 quasi competitors in our space—Ziosk and E La Carte—which are both POS extensions. They offer the capability to order food, pay the bill, and even play video games on their devices. They are competitors for table real estate, not direct competitors for advertising revenues. iSync also is able to push content out to mobile devices, something these existing platforms cannot. Someone driving across the US came up with the idea to put up billboards. Similarly, iSync is entering an untapped market. One of the considerations has been a battery function that hindered many others from attempting what we do. Other companies have done it with TVs in restaurants, but trying to hardware 50 tables in a restaurant is not economically or technologically feasible. We are tapping into a market and potential advertising that has never been done before. Our initial raise is $6.5 million to launch the network into the first 200 venues. As the concept scales capital requirements will be larger for example providing devices may cost $10-15 million or more for a chain. And of course, the capital needs will fluctuate and move with the number of chains we bring in. Based on our revenue models, by month 24, we will be generating around $700 million a year (conservatively). The funds will be used to create and manufacture the devices. The way I set up this business is through strategic outsourcing to avoid large start-up costs for development. One of the partners in iSync owns a company that provides us with outsourced operations, ad sales, and accounting teams. To do all these things internally would be expensive and is not necessary. Characteristically, we want someone who understands advertising, media, and technology. As far as the dollar amount, we’re talking about large tranches of funding. The minimum investment is to be determined based on the round, which we are open to discussing convertible notes or equity. Our mission is to get as large as a penetration in the restaurant market as possible. There are about 500,000 bars and restaurants nationally, and we would like to penetrate 25,000 of those venues, a 5% market share. The table has been set as far as what needs to be done. We are in the final tooling of the device and ready to go into manufacturing. The next step is to place these devices on tables in August and get the ball rolling. 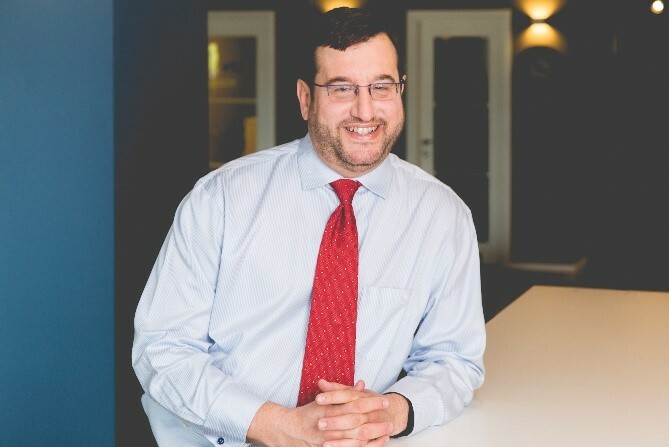 David Hazzard has served at a C-Level position for the past twenty years in number of diverse industries. He founded iSYNC Media and presently is their CEO responsible for day-to-day operations of the company. In addition, he founded and was Chairman of the Board of NetAccess Systems Technologies, a satellite telecommunications company that provides satellite Internet to rural and remote areas. NetAccess still provides remote Internet access to the Middle East, Africa and Eastern Europe. As a principal in Acta Financial he held a Series 7 and 63 licenses focusing on assisting start-up companies and early stage companies position themselves for growth assisting the companies in organization and acquiring necessary capital for expansion. 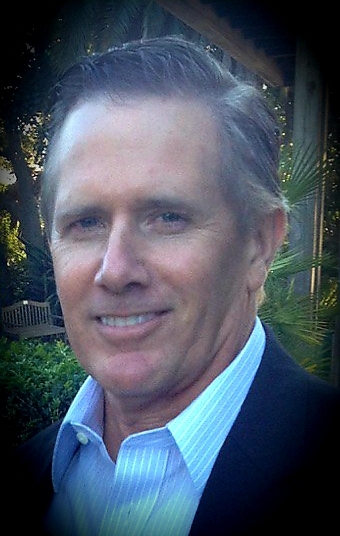 Prior to founding Acta, he founded and acted as CEO of Arrow Restaurants, a restaurant group that owned and operated 26 restaurants in a multi-state footprint. During that time he spun off and took public UBRG, a regional southern style cuisine restaurant group located in the southeast. The idea for the digital table tent network arose from this restaurant connection. Mr. Hazzard presently sits on the board of Make a Difference Media, a not for profit company that founded the Blue Ocean Film Festival. Blue Ocean has grown to be the premier ocean and conservation film festival in the world. He sits on the board as vice-chairman of the Computer and Communication Industry Association. He studied at the University of Florida, majoring in Accounting and University of South Florida, majoring in Marketing and Finance. He owns the patented technology that iSync Media licenses. If you have any questions, please contact Dave at dhazzard@i-syncmedia.com.